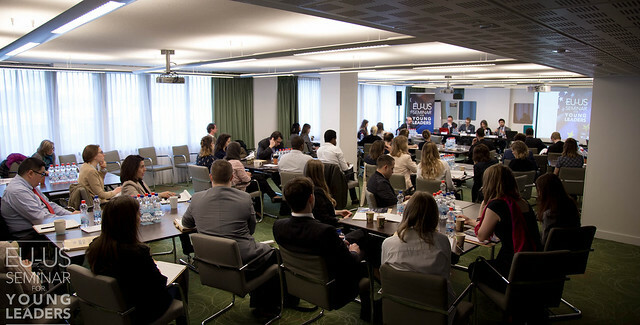 From 2 – 5 April 2017, twenty five American Fulbright grantees based across Europe and twenty five alumni of European exchange programs attended the EU-US Young Leaders Seminar in Brussels. The theme of the seminar was migration, with a focus on economic, educational and cultural aspects of integration. Participants whose research or work was related to these topics were invited to speak during the various plenary or breakout sessions. These participants come from a variety of fields and academic backgrounds, but all have a connection to or interest in the field of migration. On 2-5 April 2017, we will gather them together for a seminar to discuss migration issues in the European Union and United States of America, focusing specifically on three topics: economic integration, educational integration, and cultural integration. These topics will be addressed in a series of panels and breakout sessions, featuring both seminar participants and outside guests. 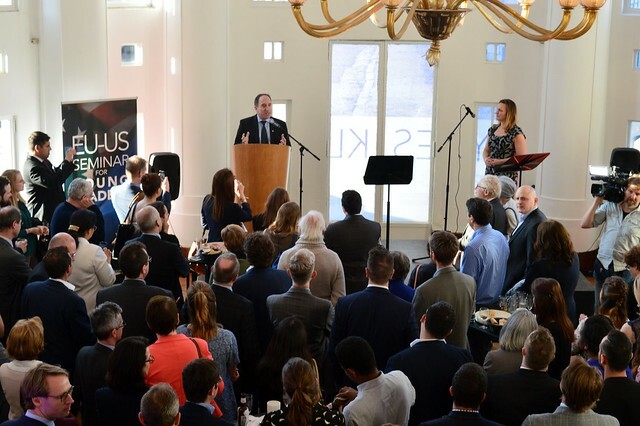 The seminar kicked off on Sunday evening with an opening reception featuring remarks from Erica Lutes, Executive Director of the Fulbright Commission in Belgium and Luxembourg, and Tim Rivera from the Delegation of the European Union to the United States. Their remarks were followed by short presentations intended to spark discussion about the topics of the seminar. First up was seminar participant Sydney Bowie, a 2016-2017 U.S. Fulbright Grantee to Spain. Ms. Bowie received a Fulbright grant to work on the New Migration Project, documenting the lives of immigrants in Spain. She spoke about documenting the experiences of migrants to Spain, and shared a teaser from her documentary, entitled Bosa, with participants. 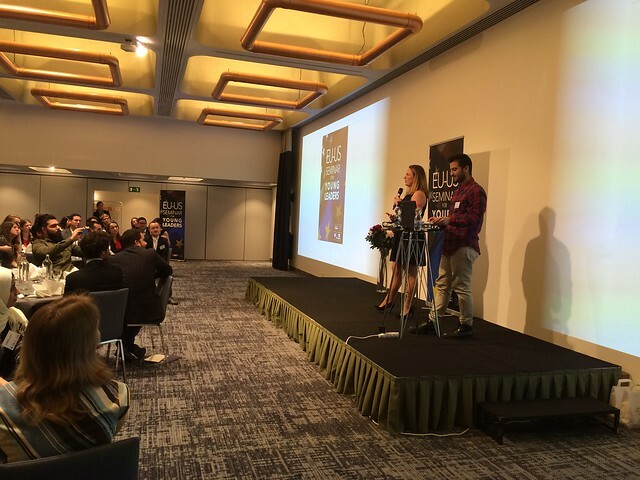 Mustafa Falleh was then welcomed on stage to introduce Refugees Got Talent, an organization he co-founded after arriving in Belgium as an asylum seeker in 2015. Mr. Falleh spoke about the goals of Refugees Got Talent and addressed questions from the audience about the way in which it aims to contradict existing connotations of the word ‘refugee’. On the second day of the seminar, Deborah Guido O’Grady of the U.S. Department of State welcomed participants and gave remarks about the importance of academic exchange and the mutual understanding promoted by programs like the Fulbright Program and Erasmus+. She then introduced Antoaneta Angelova-Krasteva of the Directorate-General for Education and Culture to chair the opening plenary: Integration Policies in the European Union and the United States. Amy Wilson from the U.S. Mission to European Union provided participants with an introduction to integration policies and the history of migration in the United States. Antoine Savary of the Directorate-General for Home Affairs, Migration, and Citizenship then presented the European approach. The first of three panel discussions focused on the Economic Integration of Migrants, Asylum Seekers and Refugees. The panel featured presentations by Mukul Bakhshi of the Alliance for Ethical International Recruitment Practices, Soumia El Majdoub of Alter Partners, Liam Patuzzi of the Migration Policy Institute, Brenda King of the European Economic and Social Committee, and 2016-2017 U.S. Fulbright-Schuman grantee Narintohn Luangrath. Following the panel discussion, seminar participants attended small group breakout sessions on topics ranging from Demography and Economics to Entrepreneurship and Migration. Throughout the seminar, these breakout sessions — led by a mixture of external speakers and seminar participants — allowed participants to delve into more specific aspects of integration, to discuss with their breakout group members, and to share their own professional and academic experiences. 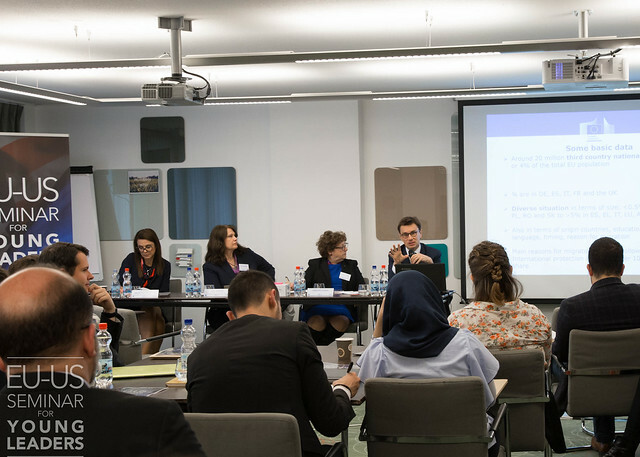 In the afternoon, participants came to together for a second panel discussion on Educational Integration featuring Nina Salden of the DAAD Brussels Office, Oliver Klawitter of Kiron University, Daniel Faas of Trinity College Dublin, and 2016-2017 U.S. Fulbright Grantee to Malta Bethany Dill. Panelists spoke about the ways in which traditional education systems either facilitate or problematize the integration of refugees and migrants and how new approaches to education can promote multiculturalism and have an impact far beyond the classroom. The discussion was moderated by Margie Waters of the Directorate-General for Education and Culture. Breakout sessions following the panel discussions focused on various elements of educational integration, including Vocational Education and Training, Integration in Higher Education, and Centering Refugee Voices. 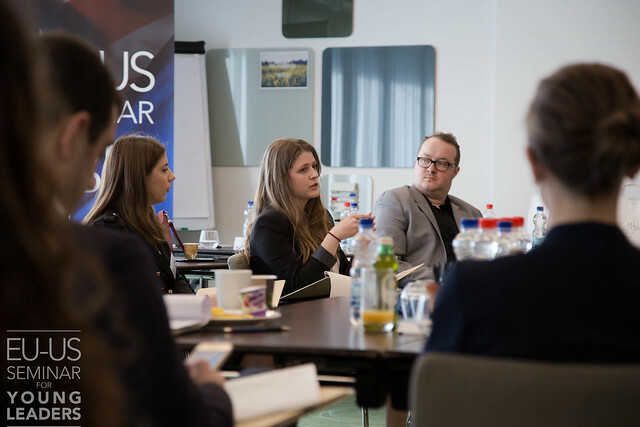 Inspired by their own experiences as 2016-2017 U.S. Fulbright Grantees to Luxembourg and Austria, Carly Peruccio and Janaya Crevier asked participants in their breakout session to consider how opportunities for personal expression through, for example, arts and journalism, can enrich both the lives of refugees and communities more broadly. 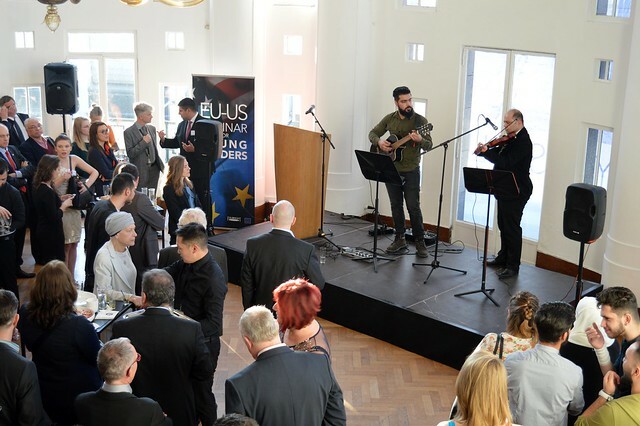 Speakers and participants were invited to an evening reception hosted by Chargé d’Affaires Adam M. Shub of the U.S. Mission to the European Union at the BOZAR. After remarks by Mr. Shub and Ms. Angelova-Krasteva, attendees enjoyed a performance by artists Zaid and Siamak of Refugees Got Talent, a guitarist from Iraq and a violinist from Iran brought together despite cultural and linguistic differences by their shared appreciation for music. 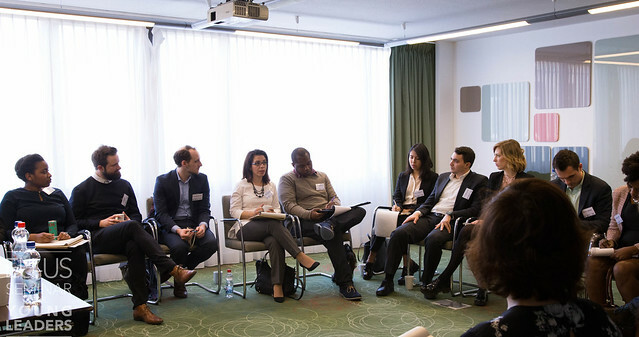 On the third and final day of the seminar, participants attended a panel discussion on Integration and Culture. The panel was moderated by Francois-Xavier Reymond of the European External Action Service and included presentations by Pietro de Matteis of the Service for Foreign Policy Instruments, Michael Privot of the European Network Against Racism, Thomas Huddleston of the Migration Policy Group, and 2016-2017 U.S. Fulbright Scholar to Belgium Solveig Argeseanu Cunningham. Subsequent breakout sessions saw participants discussing the interplay of migration and gender, the ways in which public opinion on migration is influenced and shaped by external factors, and the health outcomes of cultural integration. In a breakout session entitled “Influencing Public Opinion on Migration,” Mr. Huddleston and 2016-2017 U.S. Fulbright Grantee to the Czech Republic Hannah Sachs challenged participants to consider how public narrative shapes political outcomes for refugees, immigrants, and asylum seekers and to apply lessons learned from the arts and theatre to explore issues related to immigrant representation and asset-based storytelling. 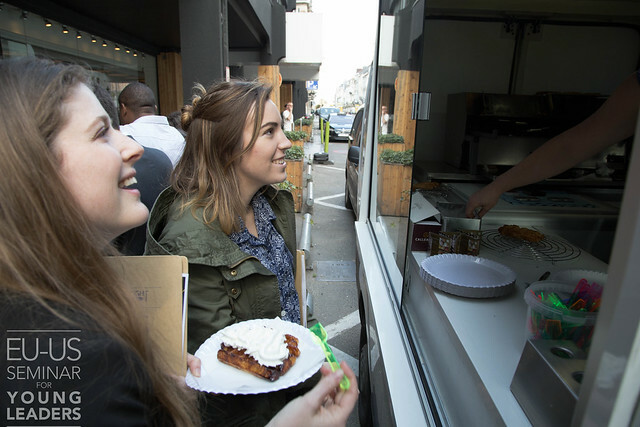 After lunch, participants were surprised to discover a traditional waffle truck parked in front of the event venue — a delicious taste of their host country from the Fulbright Commission in Brussels! Seminar participants then attended a special presentation by Fabiane Baxewanos. Now a legal officer with the Office of the United Nations High Commissioner for Refugees (UNHCR), Ms. Baxewanos spent the 2015-2016 academic year at Harvard Law School on a scholarship from the Fulbright Program in Austria. In addition to presenting a new look at the ongoing migration crisis, she spoke to participants about her own international experience and the value of an international and multicultural approach to education. 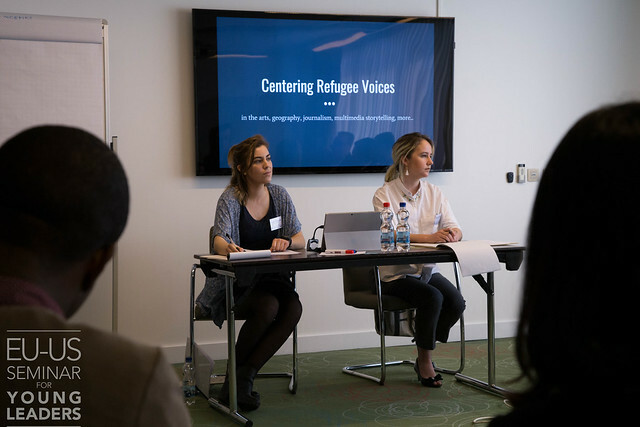 It seemed that the notion of being “somewhere else” — whether as a student or researcher or as a migrant or asylum seeker — provided an important connection for the fifty seminar participants, a diverse group linked by their participation in academic exchange programs. 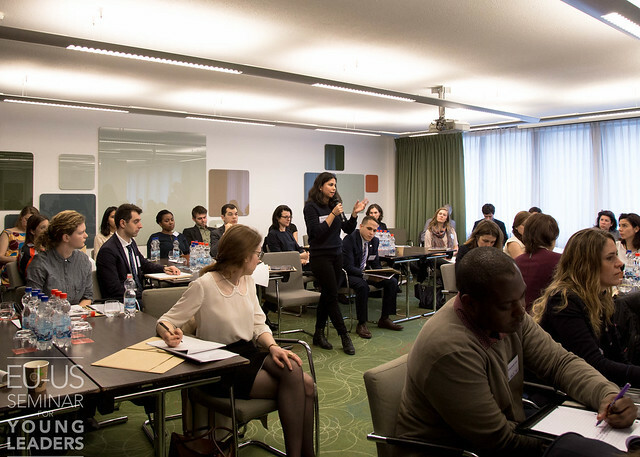 While they may not have uncovered solutions to the complex questions of migration and integration faced by both their home and host countries, participants at the EU-US Young Leaders Seminar undoubtedly emerged with a greater understanding of the diversity of experiences and viewpoints of their fellow participants and an increased appreciation for the concept of being “somewhere else”.